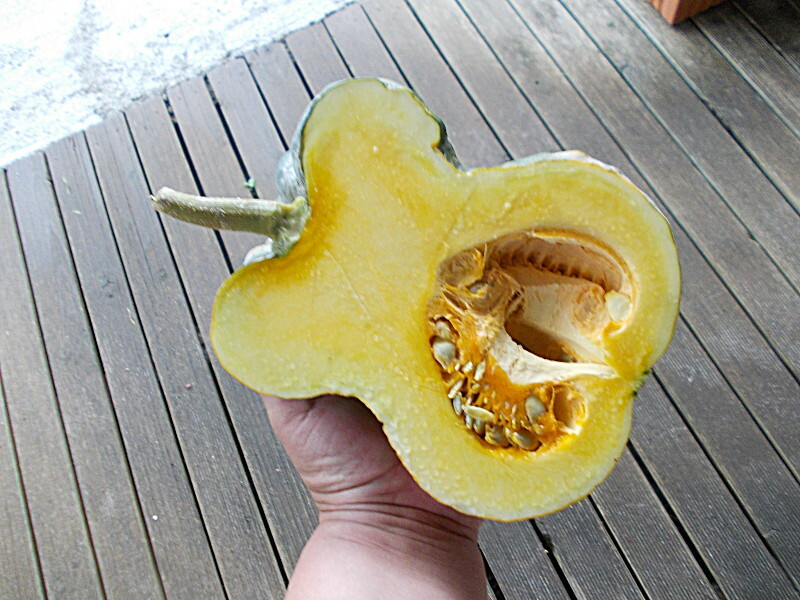 garden-larder: Shishigatami pumpkin, Madagascar beans and more. Shishigatami pumpkin, Madagascar beans and more. Today I took advantage of the cool, showery day to plant all the trays of poor seedlings that should have gone out a while ago but it was too hot and dry - alpine strawberries, kale, asparagus and Tronchuda cabbage. I have a heap of empty beds waiting, and more when the corn comes off. 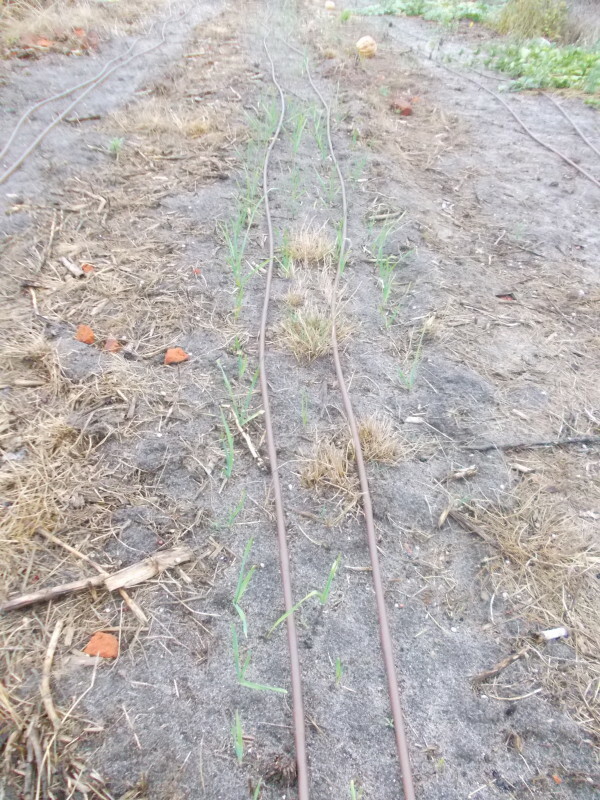 We had half an inch of rain overnight so the ground was damp enough to give them a start and recover before the weather heats up again in a few days. My garlic is shooting early. 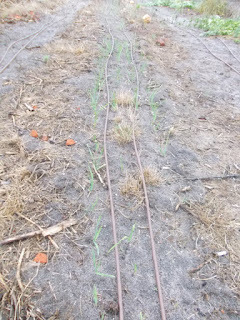 I was hoping to get some rain to bring up the weeds while the garlic was still dormant so I could deal with them before the garlic came up but it looks like I will be doing a lot of hand weeding now. It is quite a bit earlier than I expected and I am not sure what that will mean for the quality of the bulbs but I guess I will find out in November. 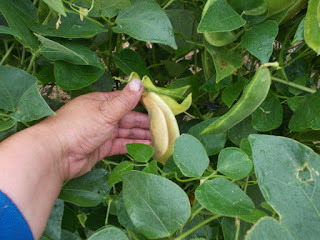 I just noticed that some of the pods on my Madagascar beans are starting to ripen now. These plants don't produce near enough seed to sell to a seed company so I usually just grow a small bed just for my own seed packets. It produces a lima type bean that produces a dark red and white speckled seed. Unfortunately each pod only has one or two seeds in it so it is not very productive. They are usually eaten as a dry bean. 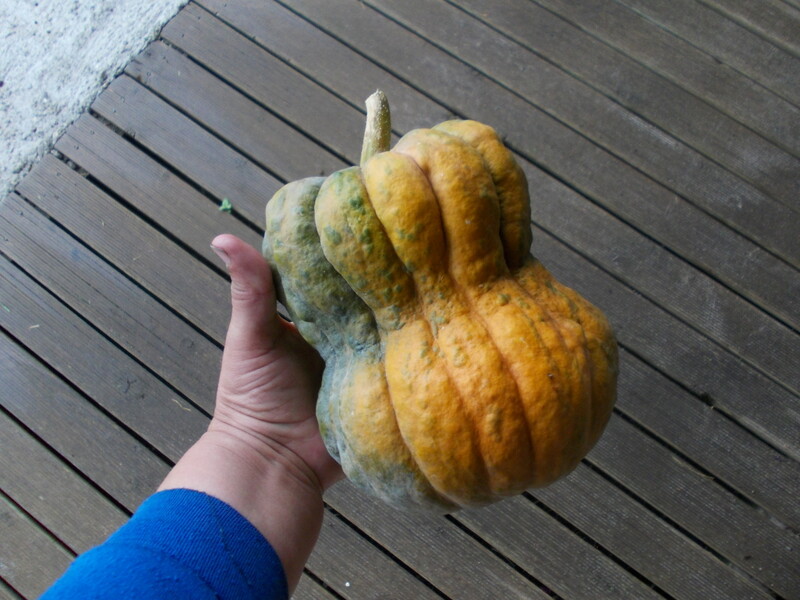 I picked my first Shishigatami pumpkin. It is related to Butternuts, and looks like it. It is a rare, Japanese variety. The skin is pretty firm and I would guess that it would keep fairly well, and the flesh is a buttery yellow colour. Taste: it is very mild in flavour but the texture is very nice, thick and smooth. I liked it but my mother thought it needed a stronger flavour.